A series of small, quiet rooms where speech language pathologists can work with children individually and in small groups. 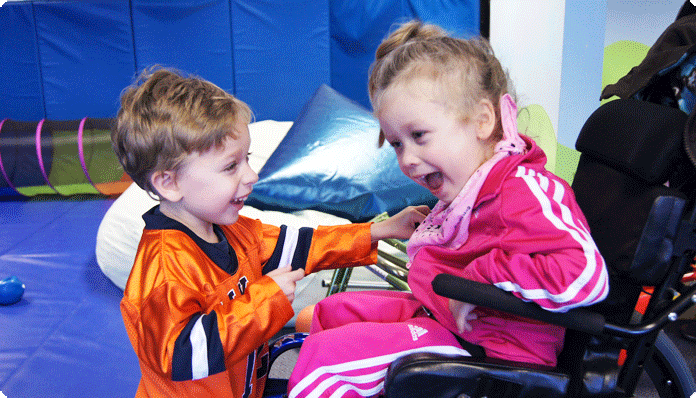 A space for individual and small group occupational and physical therapy sessions, and for children’s sensory breaks. An acronym for Educational Network and Resources for Inclusion in Community and Home. Serves a limited number of children on an itinerant basis, in home or community settings such as daycare centers or nursery schools. 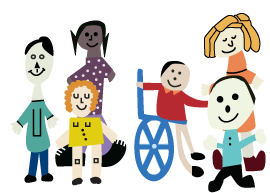 Jowonio has contracts with two excellent area nursery schools to work in collaboration with their staff. 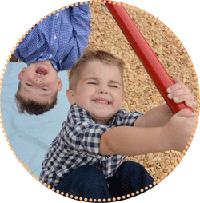 We serve six three and four year olds at each site who are identified as a “preschooler with a disability”. 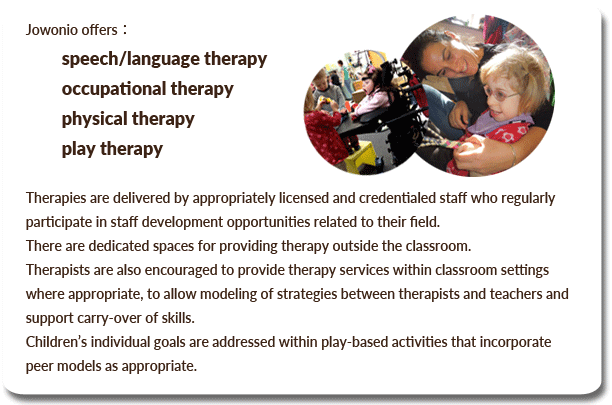 Jowonio provides a special education teacher and assistant, as well as speech, occupational therapy, physical therapy, and 1:1 aides as identified on the children’s IEPs. Preschoolers with special needs enrolled through the Intake Coordinator at Jowonio (315-445-4010). Jowonio is an approved site for preschool evaluations. 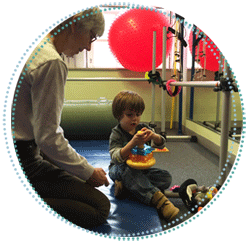 We use a multi-disciplinary, play-based approach. The team includes a psychologist, special education teacher, speech therapist, occupational therapist, and/or physical therapist as needed. Parent input is a welcomed and appreciated part of the evaluation process. 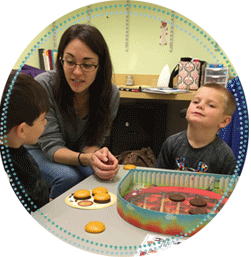 This team includes an occupational therapist, speech-language pathologist,and special education teacher.